Fuji XE2 & Motorcycle racing. 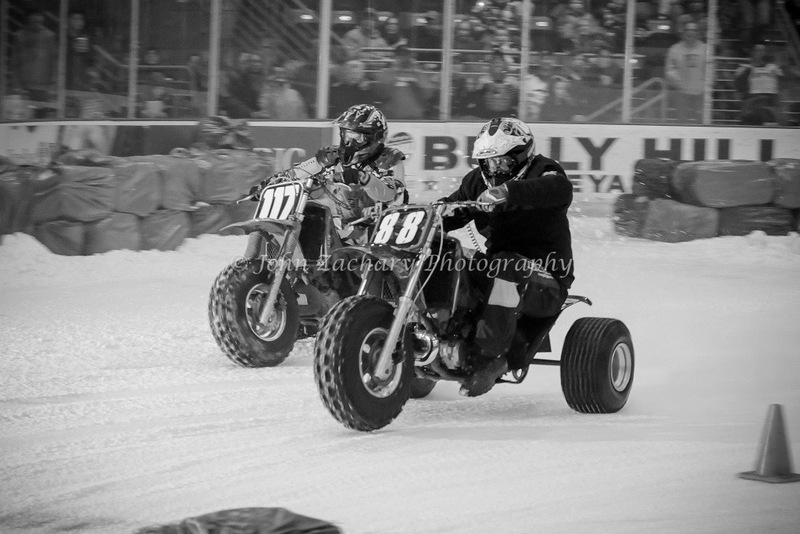 This past weekend I had the opportunity to go and shoot some indoor ice racing. 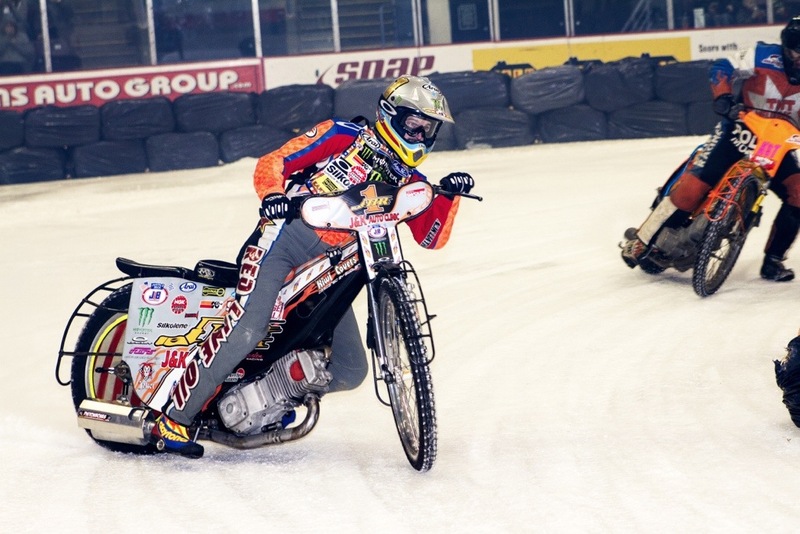 Speedway on ice was held both Friday and Saturday at First Arena in Elmira, NY. The event included Quads, Trikes, and the always exciting Speedway Bikes. Indoors is always a challenge to shoot, but even more when the action on the ice is motorized and moving really fast. I packed my two Fuji cameras and my Canon 7D as well. I had my 70-200 2.8 lens on my canon and 18-55mm on my XE2. I cranked up the ISO on my Fuji to 2000 and started shooting the action from the bench on the ice. I used continuous focus to try and track the bikes as they circled the small track.